This 15th book in Kar-Ben's popular Sammy Spider series finds Sammy and his human friend Josh presenting a delightful cookbook of Hanukkah recipes and crafts. 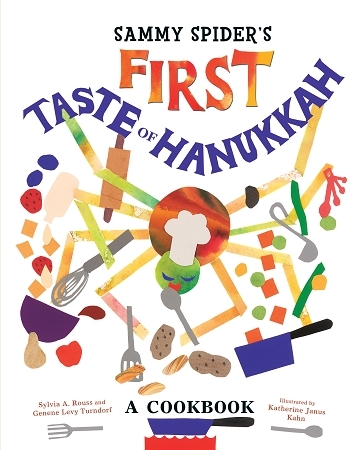 With four chapters of Hanukkah recipes for snacks, meals, treats, and crafts, this book is a nice addition to the Sammy Spider series and a fun and useful book for families looking to enhance their Hanukkah celebrations. Includes Katherine Kahn's iconic Sammy art.